Robert Kolb, “Luther’s Recollections of Erfurt. The Use of Anecdotes for the Edification of His Hearers,” in Luther-Bulletin, Tijdschrift voor interconfessioneel Lutheronderzoek 10 (2010), 6-16. Abstract: In conjunction with his forthcoming Luther and the Stories of God. Biblical Narratives as a Foundation for Christian Living (Grand Rapids: Baker Academic, March 2012), Kolb surveys in this article Luther’s recollections of his student days in Erfurt and his experiences in the monastery there in lectures, sermons, the table talk, and other genre of Luther’s writings. He sometimes retold these recollections simply for the joy of reminiscing, but for the most part these (relatively rare) memories served to criticize the practices of the medieval church and particularly the monastic way of life or to encourage and edify his hearers or readers. His comments on the world of his youth reveal that he was well aware of the political and social developments of his surroundings as well as its religious life. Dr. Kolb is Professor Emertus of Concordia Seminary, St. Louis and Director of its Institute for Mission Studies. 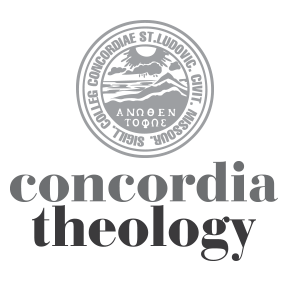 The article can be requested from the Concordia Seminary Library. Or, click here to locate a library near you that receives the Luther-Bulletin.